If you watch the pros, they will often use a higher cadence. Not only is this more effective on performance and endurance, it is also less impact on your joints. Try aiming for 60-80 rotations per minute for beginners, while elite or seasoned riders aim for 80-100 rotations per minute. 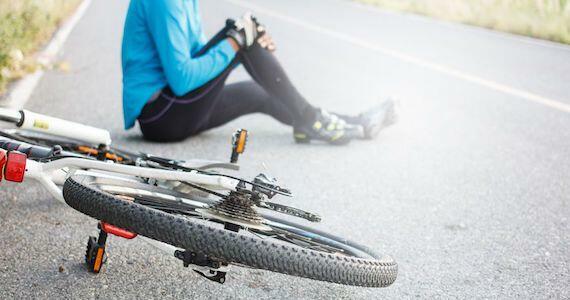 Your body is well-equipped to adapt to small changes in training or equipment, however you should be wary of significant changes such as a new bike, pedals, shoes, cleats, stem length or seat position. Initially ride easy to allow for appropriate body adaptations before cranking up the training volume and hitting the hills, your knees will thank you for it! Whether you are a beginner or a seasoned rider returning to riding after a break, it is important to begin with small distances and increase gradually. Aim for no more than 10 percent increases in your training volume each week. Rapid increases in training volume greatly increase your injury risk and affect your ability to recover. If you are dealing with symptomatic knee pain intermittently or constantly, a professional Bike Fit is suggested. Not only will your knee pain be managed, but the underlying physical and bio-mechanical dysfunction causing it will be identified and resolved.